Cats! Cats! Cats! 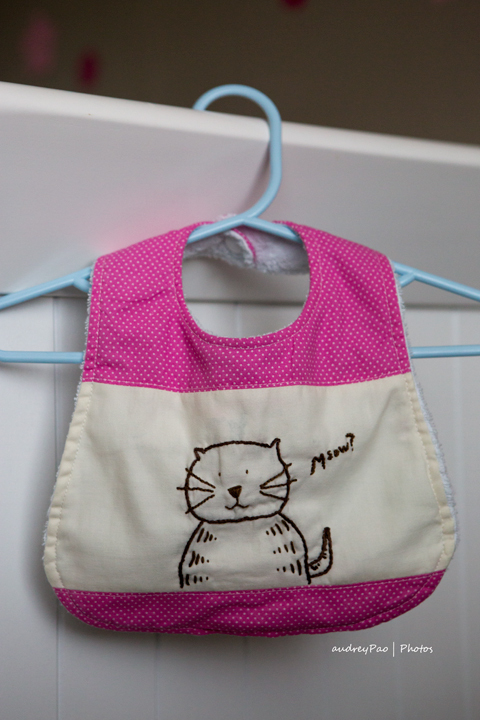 And… Bibs! Bibs! – Have a fun day! Cats! Cats! Cats! 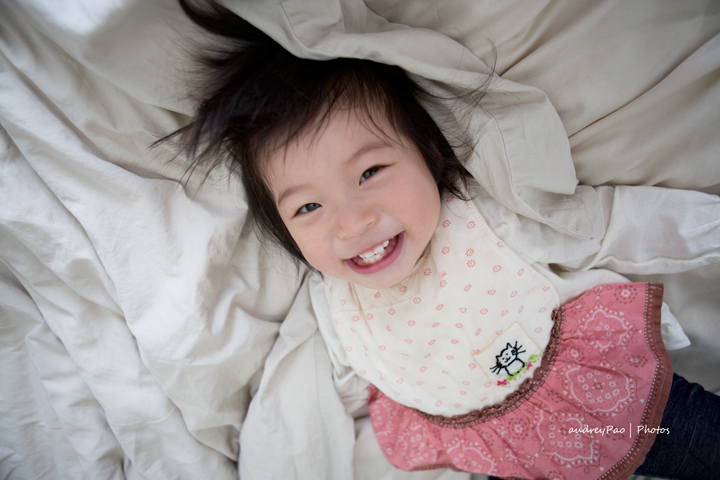 And… Bibs! Bibs! 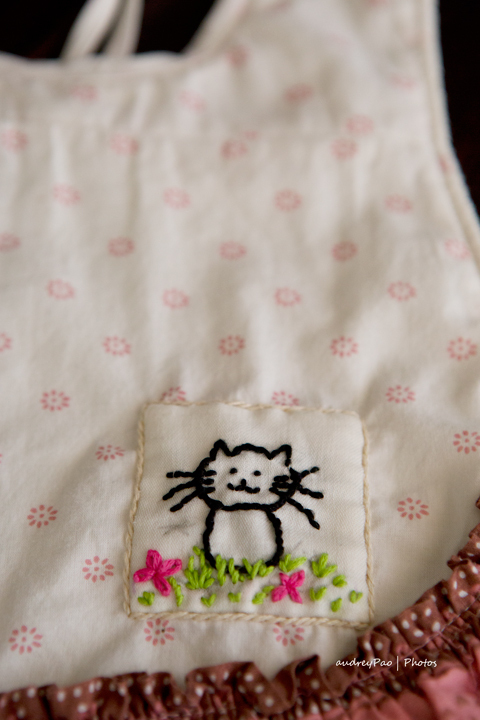 There are cats and there are bibs, and ….. bibs with cats! I have been obsessed with cats mainly because I *think* that Leah looks like a little cat. I could be biased. I even *think* that she acts like one; doing her own thing, minding her own business and every now and then sneaking up on us and demanding back rubs, hugs and kisses. This is a lot of cat love from a bird lover. These cats are inspired by my little Leah. The bibs below, I got the pattern from Nana Company. Of all the bib patterns that I’ve downloaded, this is my favorite pattern, it’s got a nice shape and it’s huge. 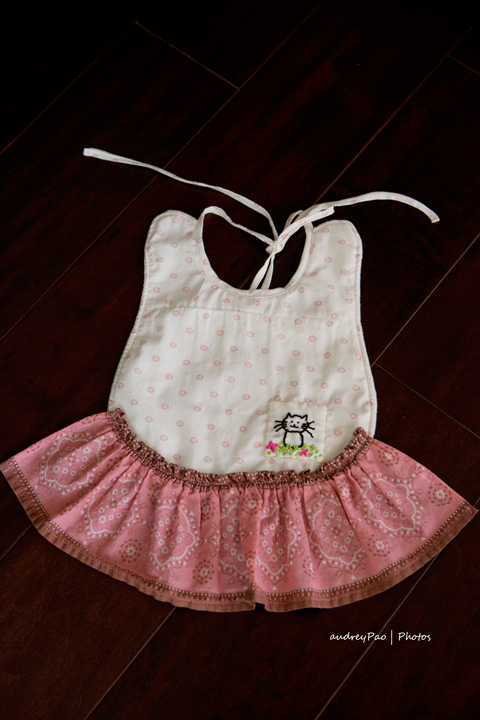 The ruffled bib here is an upcycled project. It was a hand me down dress with a couple of stains on it. Such a beautiful dress isn’t it? Too bad there were stains and I can’t stand stains. Now it can live on as a bib. What do you think of the cat on the patch? Here’s a close up of the cat. Looks just like my daughter doesn’t it? Now if only I can get her to stay still so I can take a picture of her in it. Ya right, crazy toddler! < It’s Chinese New Year!